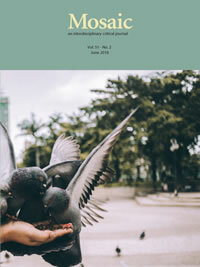 This issue includes essays on a variety of topics, including gothic tropics in Grace Metalious’s Peyton Place, Barthes as phenomenologist, animal ventriloquism in J.M. Coetzee’s Disgrace, and situational irony. 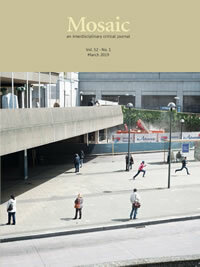 The cover features the work of Dutch artist Esther Hovers. This special issue of Mosaic celebrates the journal’s 50th anniversary and gathers together a number of papers and events presented at a symposium to mark that occasion. The symposium, titled Living On, was initiated by Dawne McCance and held at the University of Manitoba on March 9-11, 2017. 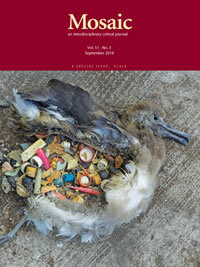 The theme and title come from Jacques Derrida’s “Living On: Borderlines” (1979) and were to acknowledge a range of issues including the journal’s interdisciplinary mandate, Mosaic’s own recent conference on lifedeath (48.1-48.4), and the increasingly fraught and troubled times that we all face. More pragmatically still, Living On was to point to the journal’s next half-century and its life under a new editor in the wake of McCance’s seventeen years at the helm. Finally, Living On was to showcase the critical work of select participants from a diverse set of fields from which Mosaic welcomes contributions. Within the biological-ecological sciences from which the term Anthropocene emerged, “scale” has a longer history and broader usage than it does within the now-proliferating philosophical, critical, theoretical, and ethical discourses that address environmentalism, climate change, and the Anthropocene’s status as a sixth major extinction event. For the latter discourses, scale often refers to something “bigger” than we have ever previously encountered: climate change, for instance, as a crisis unprecedented in its scope and in the reorientation, or “reinvention,” of critical protocols that it is said to require. Given the unrelenting scale of such issues as climate change and of factors contributing to it, e.g., the shift from small-scale family farming to massive global-marketing industrial operations, must theory, too, as some suggest, undergo a transition from local and individual to global perspectives? In what might a global imaginary consist, and how might it relate to existing critiques of globalization as but a label for the hegemony of Western culture? Are broader understandings of scale available from within the ecological sciences and, if so, how might these serve as resources for the “greening of theory”? With topics ranging from the origins of Romantic lyric, bibliotherapy, and the aging body in Marguerite Duras on to genre theory, the afflictions of Wallace Thurman, psychopomp in James Joyce, the manipulative gaze of war representation, and the ethics of film adaption, we encounter an acutely divergent set of topics. This “melancholy spectacle” of non-coherence—a description Paul de Man once used to characterize a collection of his own writings (viii)—demands thought. 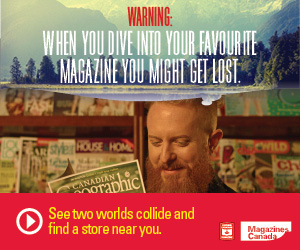 Subscribe to Mosaic to have the latest issues shipped to you as soon as they are published. Or order the specific issues you want. Be sure to check out our special offer! 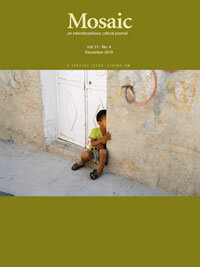 View a list of current and past issues of Mosaic, both special and general issues. Read issue summaries or access issue details including the introduction and essay abstracts. Learn about the submission and peer review process at Mosaic. Submit an essay for consideration using our web portal where you can also check the status of your submissions and reviews. Your email address will be kept in strict confidence.